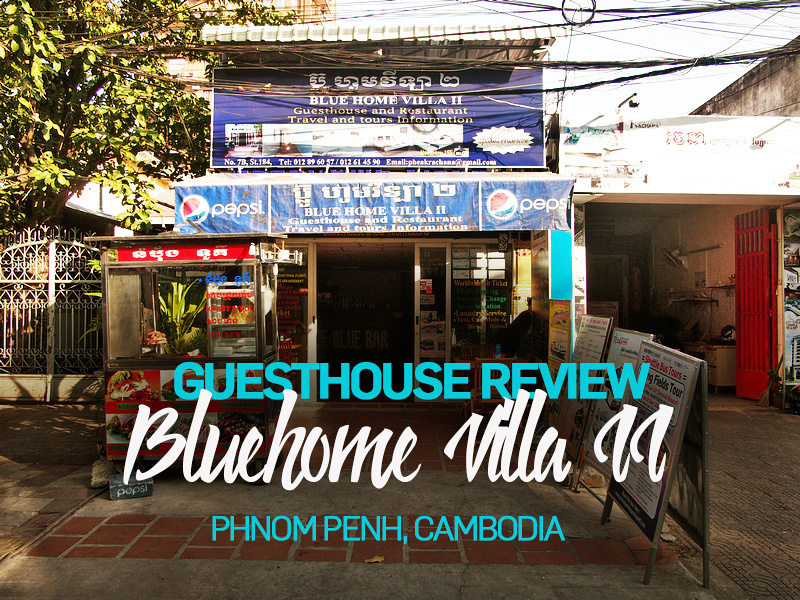 I stayed at the BlueHome Villa II in Phnom Penh, Cambodia. I booked online at the rate of $8.24 USD per night and booked it for its location. This was my third stay in Phnom Penh over the month as I was transiting through here on the way to Siem Reap and then Battambang. 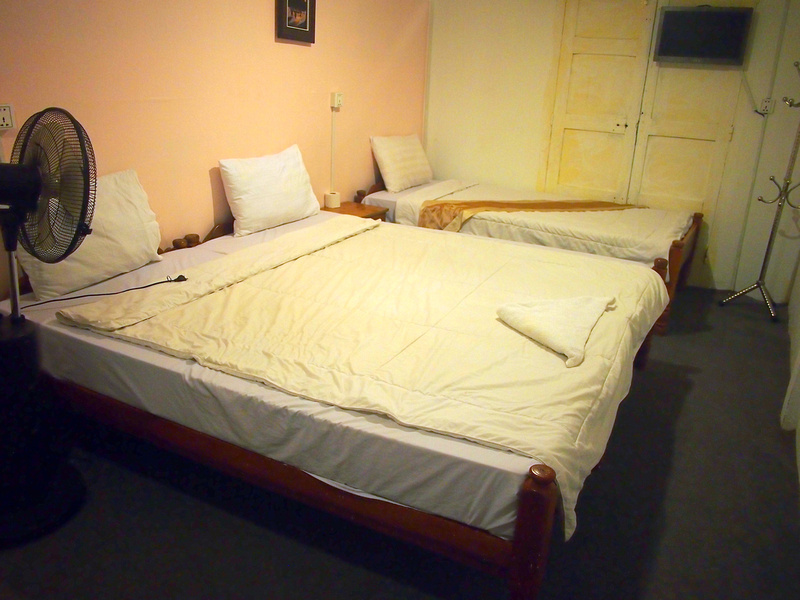 I had stayed in other Phnom Penh guesthouses under $10 and this one was the best of the lot. As per the last places I wasn’t expecting much for under $10 – just a place to crash. The BlueHome Villa II is a guesthouse that doubles as a travel agency and it has more of a backpacker vibe than the other places I stayed. They have a little bar and place to socialise out the front. I got a double room with a private bathroom, though I was place in this double + single room because the double was not available. There was no window, which I don’t usually book, but there was light from the hallway coming in via the bathroom. The bed was comfortable and the room and a fan and A/C option. The A/C option costs extra and I got by with the fan. 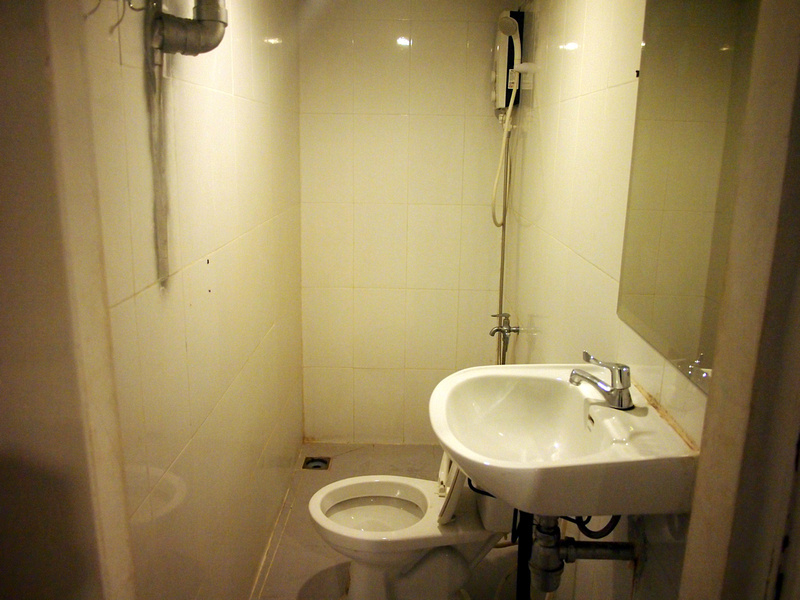 The bathroom was clean and tidy, though a little narrow. Barely enough room to sit on the toilet. The shower had an instant hot water system with good pressure. No problem for the wifi in my room. Overall this was a decent guesthouse suitable for backpackers looking for a budget private room. Book the BlueHome Villa II online or search for more hotels in Phnom Penh. If you’ve never been to Phnom Penh then read up on the best areas for visitors to Phnom Penh.